Parts of the Texas House map must be redrawn ahead of the 2018 elections because lawmakers intentionally discriminated against minorities in crafting several legislative districts, federal judges ruled on Thursday. A three-judge panel in San Antonio unanimously ruled that Texas must address violations that could affect the configuration of House districts in four counties, where lawmakers diluted the strength of voters of color. In some cases, the court found mapdrawers intentionally undercut minority voting power “to ensure Anglo control” of legislative districts. 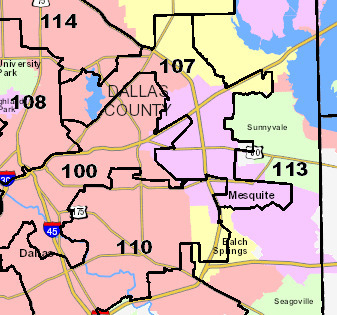 Tarrant County’s HD 90, represented by Democrat Ramon Romero, and HD 93 represented by Matt Krause. Adjusting those boundaries could have a ripple effect on other races. In both the congressional and state House rulings, the court ordered Attorney General Ken Paxton to signal whether the Legislature would take up redistricting to fix violations in the maps. But so far, state leaders have signaled they have no appetite to call lawmakers back to Austin over mapmaking. Instead, Texas is looking to the U.S. Supreme Court to keep its political boundaries intact. Meanwhile, the state and the parties that sued over the congressional districts are scheduled to return to court on Sept. 5 to begin redrawing the congressional map. In its Thursday ruling, the court indicated they should be prepared to also meet on Sept. 6 to consider changes to the state House map. It was just over a week ago that the same court invalidated the Congressional map, also calling it intentionally discriminatory. Add in the voter ID ruling and you’ve got three such judgments in a span of eight days; you can also toss in the ruling on interpreters for a four-game losing streak for the state. Don’t forget the Pasadena case, too – it’s not the state, but it is another intentional-discrimination opinion. 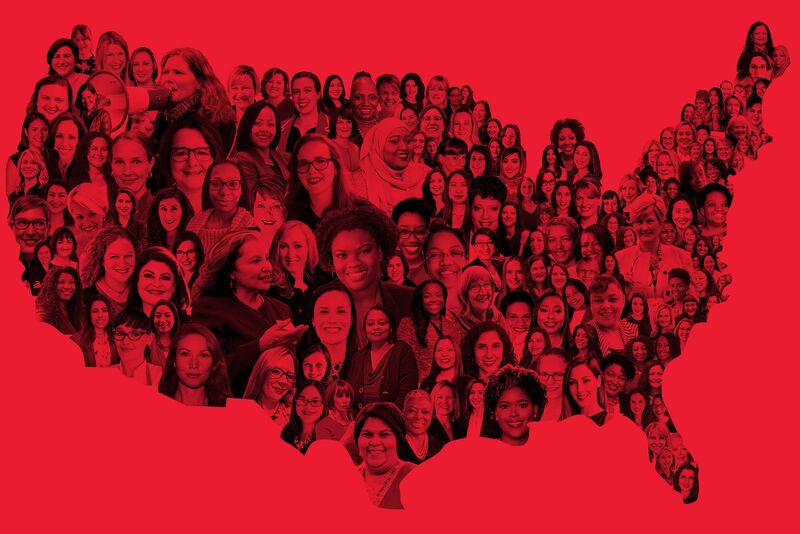 Maybe this will all add up to enough to convince Chief Justice Roberts to change his mind about the state of voting rights and the need to protect communities of color. Or not. I wouldn’t hold my breath. Be that as it may, this ruling could have an effect on the effort by wingnuts to oust House Speaker Joe Straus. RG Ratcliffe explains. The court found that in Nueces County, the district maps discriminated in the placement of minority voters in a way that favored the re-election of Representative Todd Hunter, a key Straus Republican ally and chairman of the House committee that sets bills for debate on the daily calendar. To make his district safe, the court said Hispanic voters were packed into the district of Representative Abel Herrero, a Democrat. Redrawing the districts won’t automatically guarantee Hunter’s defeat, but it will make it more difficult for him to win re-election. The court also ruled that the Legislature intentionally split a minority community in Killeen to guarantee the election of two white Republicans in Districts 54 and 55, Scott Cosper of Killeen and Hugh Shine of Temple. Both have backed Straus in the past. Putting the minority community in Killeen back together probably endangers Cosper’s re-election, and may put a Democrat in that rural district. Either way, this likely is a wash in the politics of electing the next speaker. In Dallas and Tarrant counties, the court ruling likely would help Straus win re-election. 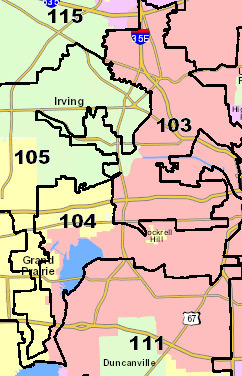 In declaring that five districts in those two counties discriminated against minorities, the most likely losers in any redrawing of the district maps will be Republican Representatives Rodney Anderson of Irving and Matt Krause of Fort Worth. Anderson was among nineteen House members who voted against Straus in one election for speaker, and Krause is a member of the Freedom Caucus, which has been trying to force a speaker vote in the caucus instead of on the House floor, where Democrats also have a say. 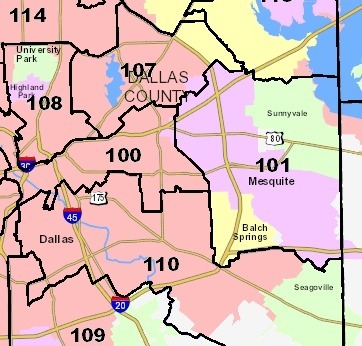 Anderson barely squeaked by in 2016, in a district that was ever so slightly bluer than HD107, which flipped to the Dems. He was going to be a target no matter what. The ripple effect in Dallas could be very interesting. And of course, anything that puts jerks like Krause in jeopardy is a good thing. We’ll know if and when SCOTUS intervenes if a second special session will be forthcoming. A statement from MALC is here, and Michael Li, the Chron, the DMN, Rick Hasen, the HuffPost, and the Lone Star Project have more.